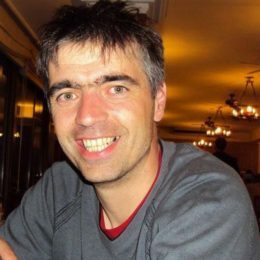 The exceptionally qualified and certified mountain guide, Georg, encourages you to join him in this amazing mountaineering tour to and across the beautiful Austrian mountain: the Dachstein. 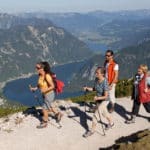 Go ahead and join me in this terrific trekking tour to one of the Austrian Alps most magnificent places: Dachstein! We will spend 6 days together going from hut to hut and witnessing the most spectacular mountain landscapes. 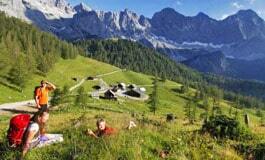 The trekking trip takes to visit the beautiful meadows of the Alps. 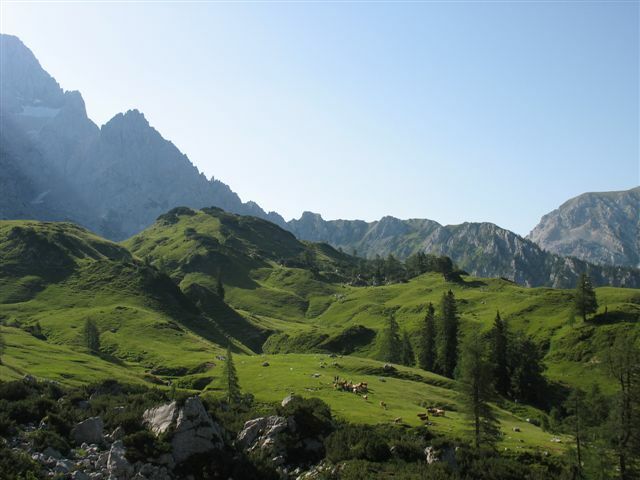 We will walk through the amazing landscapes of Salzburg, Styria and Upper Austria. 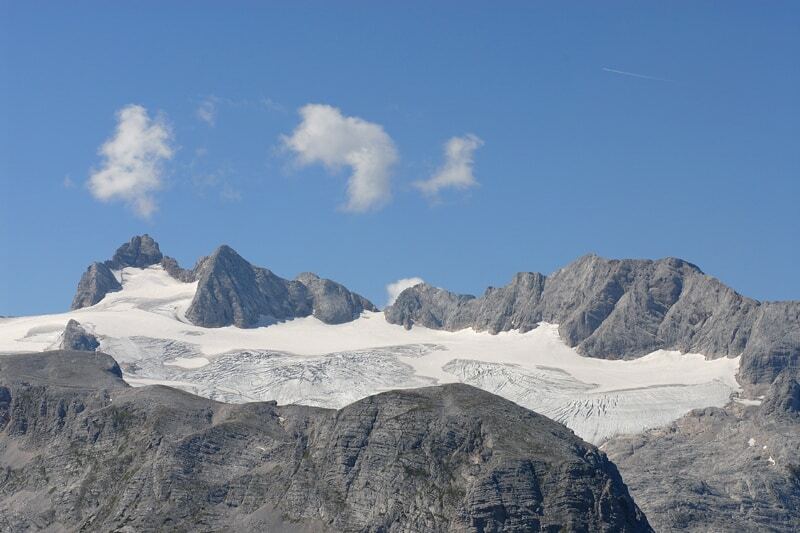 You will also have the chance of hiking to a region of glaciers in the northern part of Dachstein. 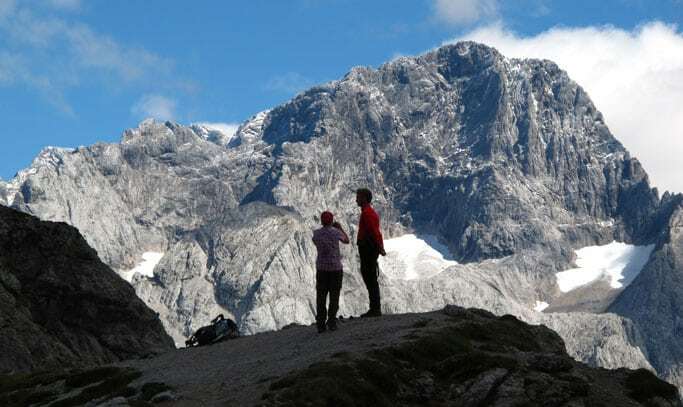 We will normally hike at a height of over 1000m across the mountain range faces. 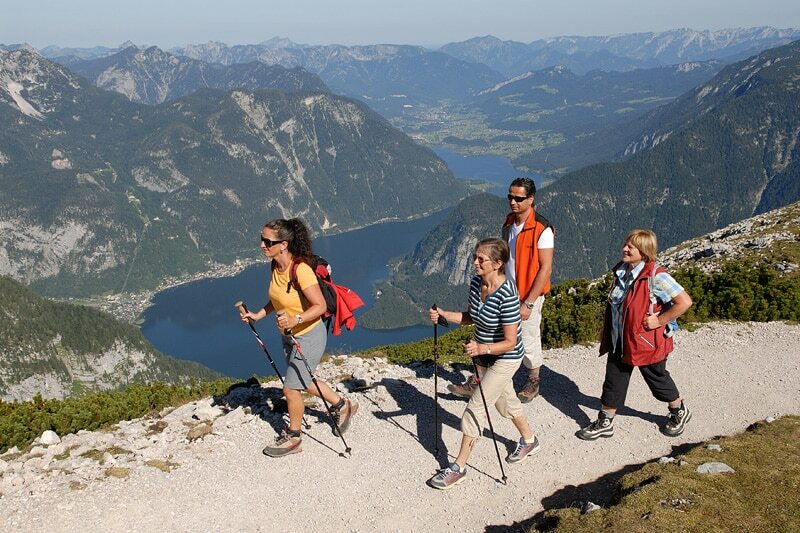 Reaching the summit of the Hohe Dachstein at 2995m is part of our trekking schedule. We will get there on the third day of our trip. 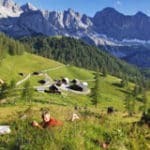 Do not miss the opportunity of going to this guided tour across one of the prettiest mountain ranges made of limestone. The experience will fascinate you, leaving you speechless. There will be also a Via Ferrata which we will traverse to reach the Dachstein’s peak. This part will probably be the most challenging, but absolutely rewarding. The huts you will sleep in are comfortable and well-equipped. The first hut will be the Gosausee to which we will come back on the last day of our trip. Throughout our trekking tour we will also sleep in the Hofpürglhütte hut, the Adamek, the Simonyhütte, Guttenberghaus, among many others. 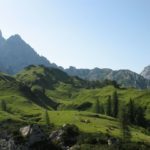 You have little trekking experience? For this trip it is not a problem since its difficulty is not great. You just have to be able to walk for up to 6 hours a day on glaciers and single trails. Come and join me and I guarantee you it will be an unforgettable experience you will want to repeat. I’ll be waiting for your contact. 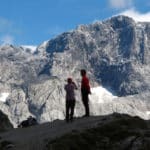 It will be a great pleasure to accompany you through this especially courageous trekking adventure on and across Dachstein in the Austrian Alps.